The living room is that area of the house where you entertain guests and make them feel at home. Basically, it’s the place where first impressions really matter. From the carpeting down to the finer details on your walls, your living room has the ability to impress people, on top of improving your home’s value. 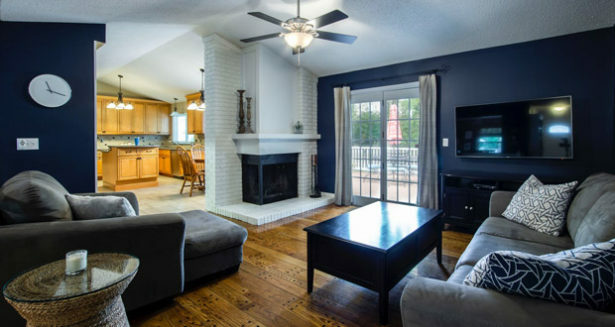 That being said, you may as well consider giving your living room a well-deserved remodeling, especially if it has been too long since your last major home improvement project. As expected, it is a significant investment to shoulder. You will have to spend time and money just to give your living room new life. Your carpet is an essential feature of your interior, but it can also be a major headache when it comes down to taking good care of it. And even if you vacuum your carpet regularly, the material can still deteriorate with age. It will eventually come to a point where you have to consider replacing your carpet. Usually, carpets have a lifespan of ten to fifteen years when they are made from high-quality material and are cleaned every now and then. Still, you know your carpeting has passed its prime when the colors have faded and the fabric is stretched out of shape. You may as well store it in the basement and buy a new carpet. Opt for one that’s made from nylon or polyester since these are easier to clean. If you have been using frosted glass for your windows, you might want to consider replacing them with more efficient ones that allow for better heat transfer and insulation. For this, vinyl replacement windows are always the right choice if you’re aiming to cut down on your energy costs. That being said, make sure to find the right contractor that provides vinyl windows and siding solutions that are right for your budget. That way, you can secure better looking and highly functional windows that will make your home look modern. Has it been a long time since you repainted the walls of your living room? Does the wallpaper show signs of peeling off? Now might be the right time to give your walls a much needed upgrade. One thing’s for sure, it’s the walls that give your room depth. You might want to try out pastel colors or wallpaper designs that are not so intricate. To be sure, you can use interior design apps that let you test color palettes without having to apply the paint directly. Using these apps can help you find the right color and avoid any mismatches that warrant a costly re-doing. Once you have applied these tips, you can then arrange your furniture and other fixtures any which way you want. Be sure to have someone check your concept before calling it a done deal!